The California Supreme Court ruled against the NCAA, declining to review the 2nd District Court of Appeal’s December decision allowing former USC football assistant coach Todd McNair’s lawsuit against the NCAA to proceed. McNair is likely to win at least a part of his lawsuit, which in its course will reveal a trove embarrassing NCAA documents and emails, which are currently under seal. 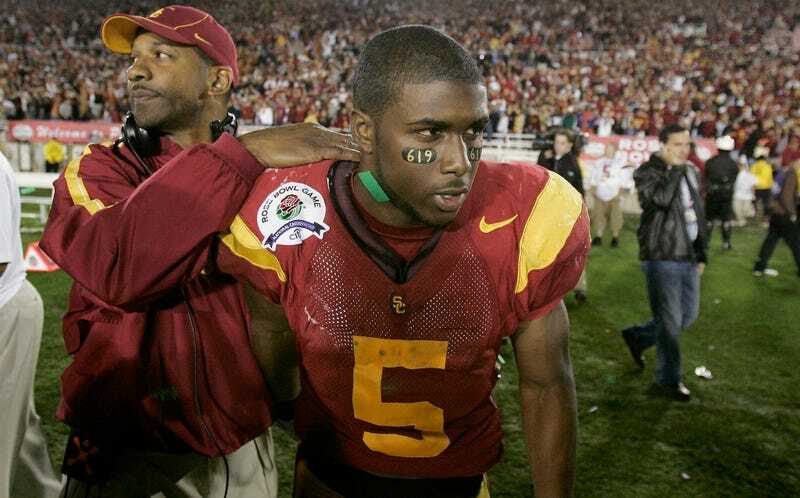 Back in 2010, an NCAA investigation into Reggie Bush found that he had received improper benefits while attending USC, leading Bush to return his Heisman Trophy and for the school to disassociate itself with him completely. Because the NCAA concluded that McNair had known about the improper benefits, they banned him from working for any NCAA school for a year, and levied harsh penalties on USC. McNair appealed the decision and lost. The NCAA’s report on ethical breaches by Todd McNair was flawed, and the former coach has shown a probability he can win his defamation claims, Los Angeles Superior Court Judge Frederick Shaller said. His 10-page ruling states emails between an investigative committee member, an NCAA worker and a person who works in the agency’s appeals division “tend to show ill will or hatred” toward McNair. Which brings us to today, when a third successive court shot down the NCAA’s attempt to dismiss McNair’s case. Absent an unlikely legal Hail Mary, McNair’s case will proceed later this year. Given that a likely McNair victory will prove that the NCAA had no justification for stripping scholarships from USC and giving them a two-year bowl ban—and will reveal highly embarrassing documents, including the full text of an email that calls McNair a“lying, morally bankrupt criminal”—a settlement seems in the offing.